Or I guess in this case, when in Paris, do as the Parisians do. And what's more (wanna-be) Parisian than macarons? 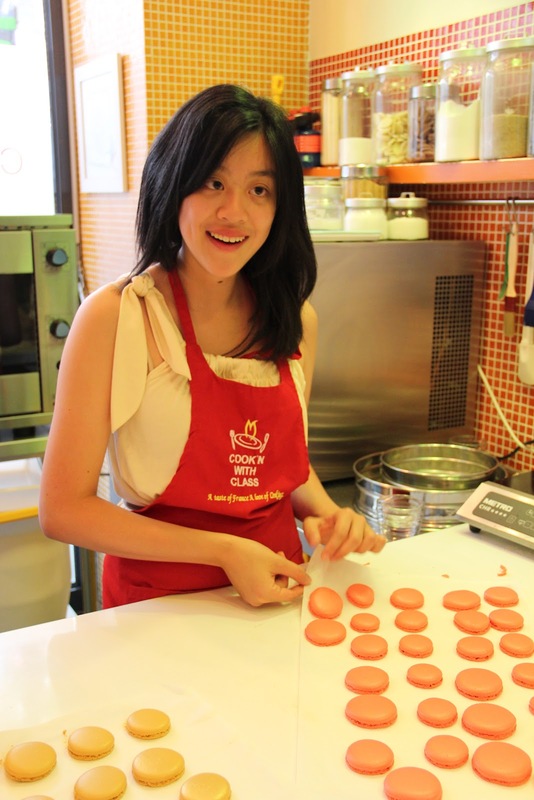 And so I decided to take a macaron baking class at Cook'n with Class last weekend avec le professeure le plus energique et adorable. 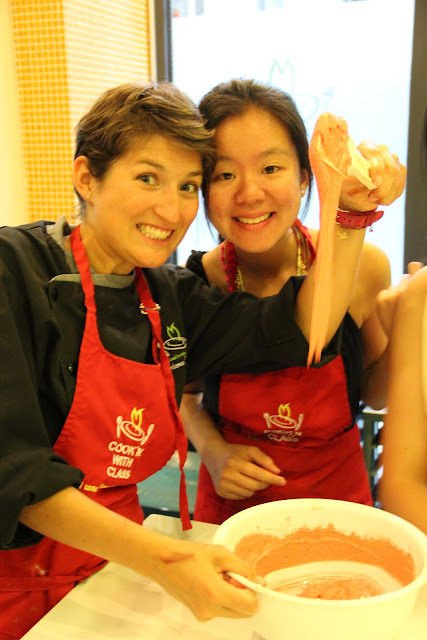 Seriously, if you're going to take the class, ask for Chef Constance, she's the best! You can also check out her blog ici. 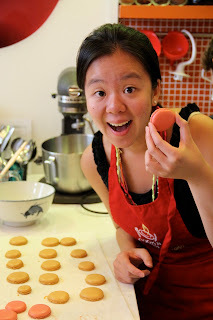 1) All macaron shells taste the same (regardless of color) and are made from the same batter! Change the flavors by changing the inside. 3) Oven must be kept ajar to ensure ventilation.